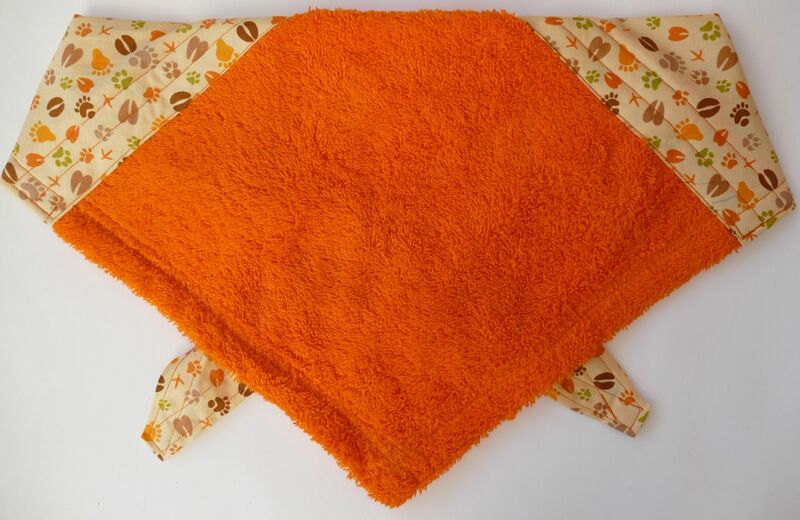 This is a gorgeous tracker/ footprint cotton Droolbuster bib for dogs, from our premium range of high quality designer cottons. 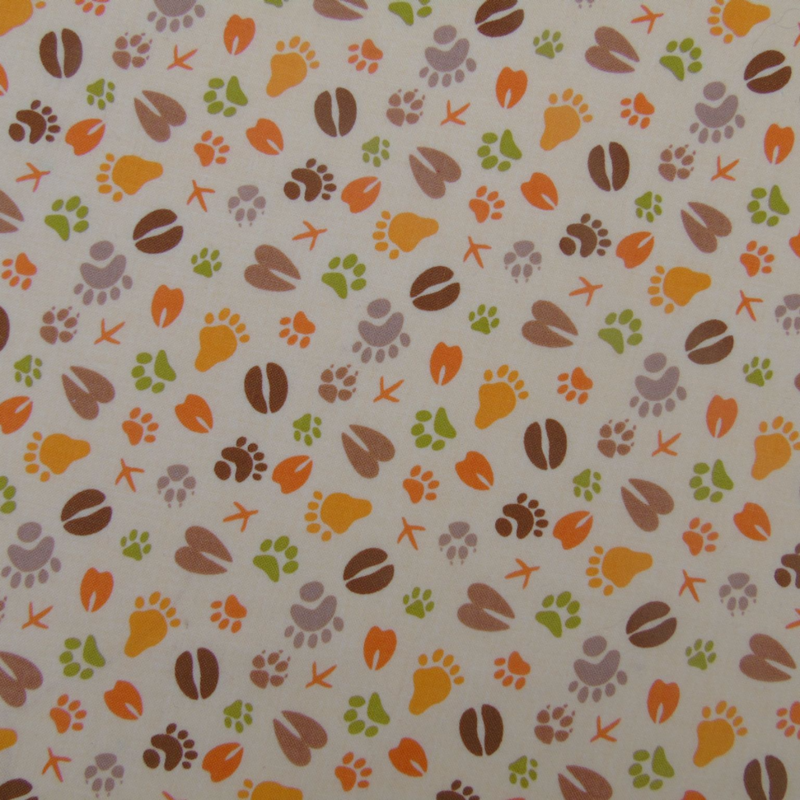 The background is an apricot / pale orange, with an all over design incorporating footprints, Pawprints and Hoofprints in soft outdoorsy shades of orange, brown and green. Droolbusters are a perfect and highly practical accessory for dogs that drool. They are available in 6 sizes.